Westminster City Council has just published its draft City Plan 2019-2040. In due course they intend it to become their adopted planning policy, but it is early days and so it cannot be known what the final form will look like. However, they are proposing an interesting addition to their policy on housing. Policy 13B proposes that in addition to meeting the minimum unit sizes for new dwellings (which are laid out in the Nationally Technical Housing Standards [NTHS]) there is to be a maximum size. This would be 150sqm (GIA), except where it is necessary to protect a heritage asset. The supporting text explains that this upper limit is because of the demand for super-size properties in Westminster which can under-optimise development. The limit would also not apply where a converted purpose built home is being returned to a single family dwelling. In a borough with an enormous number of heritage assets, which will include numerous listed buildings which have been converted into flats, there could well be many examples where the Council resolve not to apply the maximum. It is also a policy which could only be fully applied where permitted development rights to change from office to residential are not available. Therefore, whilst the minimum standards are to promote quality of the units, the maximum standards are logically seen by the Council as a way to increase housing delivery. Wider context to this is that the draft London Plan’s housing targets propose a decrease in the 10 year target from 10,677 to 10,100, which is a fall of over 5%. Therefore, it is not clear what the extent of the problem is, and given the number of heritage assets how many times the new policy will be applied. 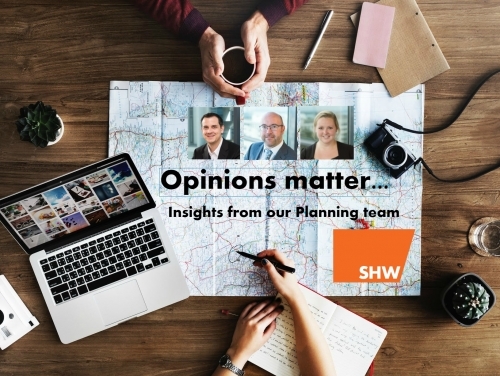 There has been much political discussion about the super-prime end of the market, and this upper limit appears aimed at it, although in practice it may be limited to the new build sector. If adopted then it may well discourage some developers for whom this is their market. This is inevitably a very small segment of the overall market, and some will cheer if it moves to other parts of the world without such a restriction (or even just to other parts of London). However, Westminster have secured in-lieu affordable housing contributions from many residential developments over a number of years. There will no doubt be examples where large residential units with luxury fit outs have driven the value of a development which has then filtered through to the in-lieu payment. This can be positive for housing delivery. It is hoped that the Council has factored this in. Therefore, although the change in policy has to be intended to increase housing delivery, time will tell if this occurs. It seems likely that it will have a negligible impact due to the very small part of the market that it effects.